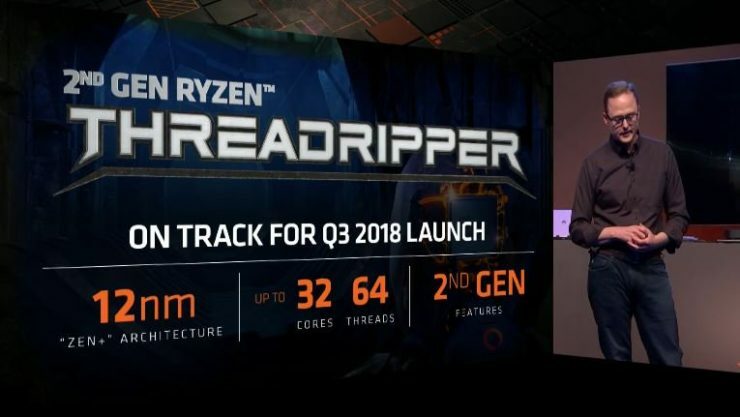 We already have the first performance test of the AMD Ryzen Threadripper 2990WX, the flagship processor of AMD made up of no less than 32 Zen + cores with 64 threads of processing at a Base / Turbo frequency of 3.00 / 4.20 GHz with a TDP of 250W, which faces the Intel top-end CPU, the Core i9-7980XE with 18 cores and 36 threads at a base frequency @ 2.60 / 4.20 GHz and a TDP of 165W. While there is a huge superiority in the number of cores, but it is not the same when we talk about prices, since the Ryzen Threadripper 2990WX will go on sale for $ 1,799 compared to $ 1,999 for Intel’s flagship solution. If these prices are translated into euros, the difference is even more noticeable, with the Intel CPU is being much more expensive, offering almost half of the cores and performance, of course. The AMD Ryzen Threadripper 2990WX was tested in Cinebench R15 with an sTR4 motherboard socket X399 versus an X299 for Intel. For the rest, both computers used the same Nvidia GeForce GTX 1080 with the same drivers, the same configuration of 4x 8 GB of DDR4 @ 3200 MHz RAM, operating system (Windows 10 Pro RS3 64 bits) and a Samsung 850 Pro SSD. 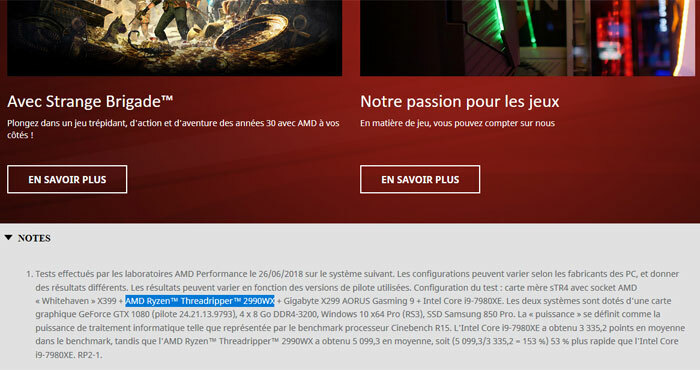 The tests were carried out by AMD France itself, wanting to show the superiority of its processor in the face of its launch. The Intel Core i9-7980XE reached 3,335.2 points, while the AMD Ryzen Threadripper 2990WX reached 5,099.3 points in Cinebench R15, or put another way, the Threadripper 2990WX is 53 percent faster costing less money. The thing looks pretty good for AMD, and that means that it paints very badly for Intel.